Back in May, Cranbrook Bandits head coach Paul Mrazek said that the 2017 season was going to be “a really big year”. 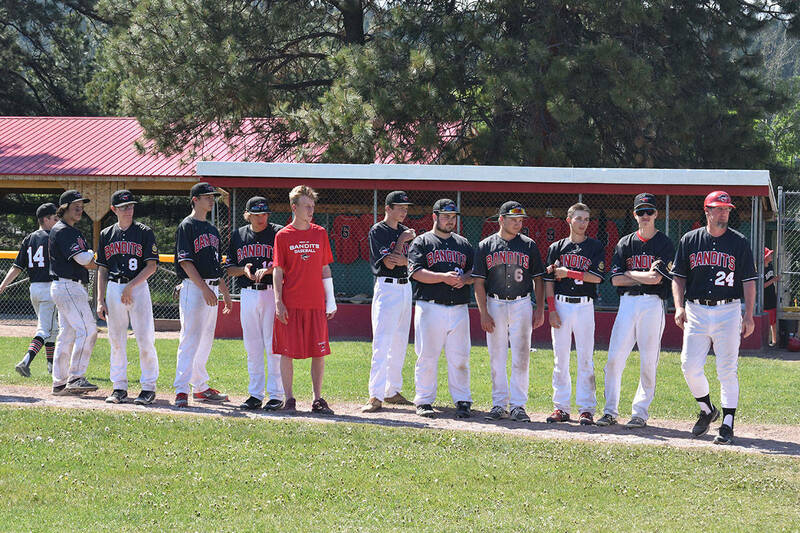 The American Legion baseball program, which started in 1999, split into two teams for the first time this year, with a senior U19 ‘A’ team and a junior U17 ‘B’ team. The two teams competed in separate Montana League classes this season and the expansion was made to both accommodate the growth of youth baseball in Cranbrook and generate even further involvement. Although both Bandits teams struggled throughout the season, according to Mrazek, it was a good step towards a bright future. “It was a big jump. It’s a much faster game,” Mrazek said of the ‘A’ team that he lead to a 3-19 conference record and an 11-29-1 overall record. “We’d played ‘A’ teams before, but we haven’t played this many high quality ‘A’ teams. Despite the often frustrating results on the field, the ‘A’ team showed considerable resiliency and also improved by the end of the season, earning a sixth out of eighth place finish at the West A District tournament. With three players — Jake Bromley, Rylan D’Etcheverrey and Linden Meggison — all expected to play for post-secondary institutions in the fall, the season had a lot of silver linings. As for the ‘B’ squad, who went 8-23 and did not win a single conference game, eventually coming in last at the ‘B’ State Invitational, Mrazek was also satisfied with their progress. The ‘B’ team was led by Ryan Philips, a former Bandits pitcher, who made the jump from helping Mrazek in previous seasons to being at the helm of the junior squad. The Bandits ‘A’ team have four players aging out of the program next season and Philips told the Townsman last week that he has informed select players on his team that they have a good chance of playing for the ‘A’ team next season. The ‘B’ team ended their first year on a 23 game losing streak, but nearly beat the 406 Flyers during the second game of the State tournament. In addition to the expansion, the Bandits also held their first ‘Alumni Game’ in June which pitted former players from the program against the current ‘A’ team. The event was well-received by all involved, with the Alumni winning 7-5 in an entertaining game. That game, along with the team’s invitational Wood Bat tournament, are both events that Mrazek hopes to continue next season. A banquet and awards night is expected to take place before the summer comes to a close, to signify the end of another year of Bandits baseball.